Product Details -Material-Non-Toxic synthetic rubber ,Suitable - Medium Breeds, Dimensions -8 cm , Quantity-1 Ball ,Type- Interactive toy. 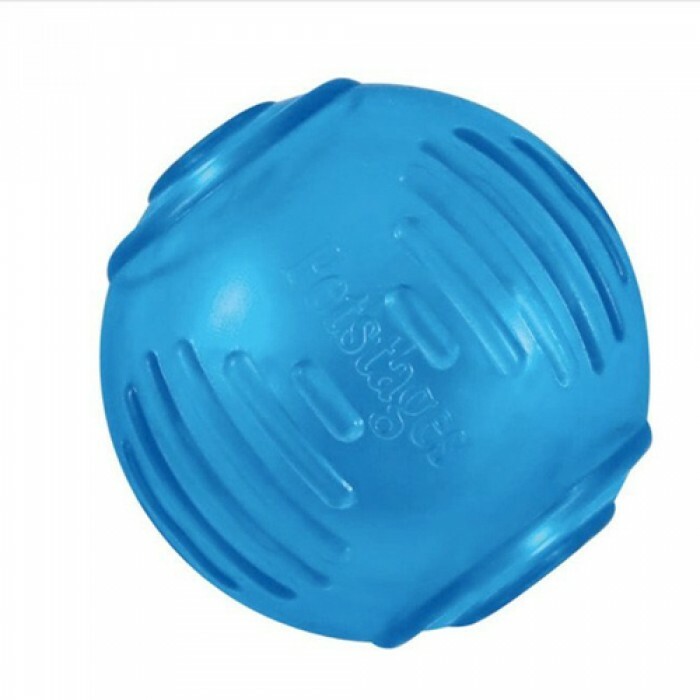 Product Information - Designed for dogs that love to chew, Petstages ORKA chew toys are made of a durable, non-toxic, synthetic rubber, combining fun and function in one toy. By providing a dog with an appropriate chew object, owners can help reduce a dogs boredom and destructive behavior. The ORKA Tennis Ball is great for dogs that love to fetch. ORKA chew toys are made for power chewers, providing your pup with an appropriate chew while helping to reduce boredom and destructive behavior. Reinforced with inner ribs and raised diamond textures, these toys stand up to tough chewing while keeping dogs interested and satisfied. Durable Okra material will stand up the toughest chewers, but its chewy texture is easy on the gums. Textured surface massages gums and adds interest, bounces and floats.